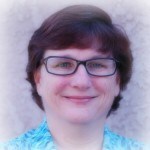 Hi, I’m Kaye Swain, mom, daughter, grandma, caregiver, and real estate agent in Roseville, CA. Like many of you, I stay busy helping my clients and my family and share tips and ideas here at SandwichINK for the various multigenerational issues of caring for elderly parents while raising children or babysitting grandchildren. Here you will find stories, ideas, and resources that I’ve blogged about over the years while helping my elderly parents and babysitting my grandkids. There are fun ideas for educational and creative activities for kids and seniors to do together. Everything from making Resurrection Easter Eggs from their old LEGOs to fun with phonics resources and activities to great Wii games for kids and us boomers and seniors. Not to mention outside activities like playing all kinds of tag, baseball, and more. With a ton of grandkids of all ages, from babies up to teens, I definitely enjoy finding and sharing fun and creative ideas and resources for all of us to use, including those of us involved in helping with homeschooling projects! You will also find resources and information to help as you care for your elderly parents. In my family alone, we’ve dealt with caring for parents in our home, Parkinsons’ Disease, memory loss, aging in place, long distance caregiving, chronic UTIs, tech help for seniors, independent living, nursing homes, and more. And yes, I’ve blogged about all of this and more. The Sandwich Generation season can be a joy-filled and rewarding season of life. It can also include seasons of grief and loss and I am blessed to be able to share encouraging and comforting Bible verses for all of us boomers and seniors, as well as uplifting Bible verses for our children and grandchildren– such a wonderful way of leaving a sweet spiritual legacy! And here is one of my first posts – with ideas for what to pack for hospital trips – another common occurrence for many in the Sandwich Generation! Due to life, blog, and social media changes, such as grandkids getting older, my real estate business which I love, and social media growing like crazy, I don’t post as often as I used to here, but you can also enjoy daily updates at my Twitter and Facebook sites, along with over 1500 posts from almost 10 years of blogging here that you can easily search through plus my weekly updates. 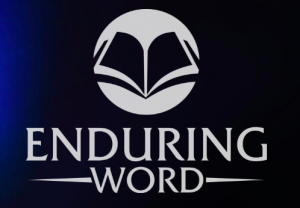 You’ll definitely find a wealth of useful information, resources, and Christian encouragement for all the multigenerational issues impacting so many of baby boomers and seniors, here at SandwichINK, giving you a terrific “Sandwich Break” in your week. 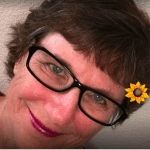 And yes, the majority of all posts at SandwichINK are written by moi, Kaye Swain – though you will also find occasional guest posts from excellent resources. You can reach me by emailing me at [email protected], or contacting me at Facebook – SandwichINKforTheSandwichGeneration. While I also share great resources at Pinterest, Instagram, Google+, LinkedIn, I rarely reply there. Best ways to get ahold of me are email and Facebook, as well as commenting here. We may collect personal information from you such as your name or email address. 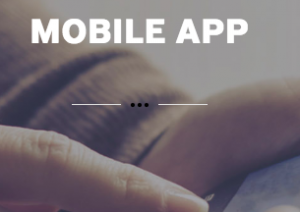 For example, you may voluntarily submit information to SandwichINK.com by leaving a comment, subscribing to a newsletter, or submitting a contact form. In addition, you may be able to create a user profile, which allows you to create a username and password. We will store the username, but your password will not be visible in our records. SandwichINK.com may engage in affiliate marketing, which is done by embedding tracking links into SandwichINK.com. If you click on a link for an affiliate partnership, then a cookie will be placed on your browser in order to track any sales for the purposes of commissions. SandwichINK is a participant in the Amazon Services LLC Associates Program, an affiliate advertising program designed to provide a means for sites to earn advertising fees by advertising and links to Amazon.com. As part of this Amazon Associates program, the SandwichINK.com will post customized links, provided by Amazon, to track the referrals to their website. This program utilizes cookies to track visits for the purposes of assigning commission on these sales. 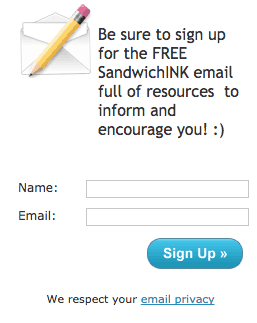 On SandwichINK.com, you may subscribe to our newsletter, which may be used for advertising purposes. All newsletters sent may contain tracking pixels. The pixel is embedded in emails and allows an analysis of the success of online marketing campaigns. Because of these tracking pixels, we may see if and when you open an email and which links within the email you click. Also, this allows SandwichINK.com to adapt the content of future newsletters to the interests of the user. This behavior will not be passed on to third parties. Amend – You may contact us [email protected] to amend or update your personal information. Forget – In certain situations, you may request that we erase or forget your personal data. To do so, please submit a request [email protected] . SandwichINK.com does not knowingly collect any personally identifiable information from children under the age of 16. If a parent or guardian believes that SandwichINK.com has personally identifiable information of a child under the age of 16 in its database, please contact us immediately at [email protected] and we will use our best efforts to promptly remove such information from our records. Speaking of privacy, all that you read in SandwichINK is true. I, like most of you, am a senior home care giver and a grandmother, working hard to help my family however God leads. Because of this, however, at times, names and unimportant details may be changed to protect the privacy of my family and friends. Also, it’s important for you to know that, while there are ads on this site, they and the advertisers do NOT influence the content, topics or posts made in this blog. Instead, I write articles based on my personal use or interest in various useful items, then look for ways to provide you easy links to the item, some of which include ways to help support this site. If I don’t like a product, it either is not on this site or I will say I don’t like it. Photos in the media box in the right two columns are either my own photos, the photos from a clip art/photo package I own OR company that I purchase them from, or selected from www.Flickr.com under the Creative Commons License and Creative Commons License 3.0. For more information, please go to http://creativecommons.org/licenses/by-nd/3.0/ For more specific information, please see the Photo Credits page. Please do not copy or download any photos or clipart, other than the coloring pages which are specifically marked for that purpose. Unless otherwise noted, all Scripture is taken from the NEW AMERICAN STANDARD BIBLE®, Copyright © 1960,1962,1963,1968,1971,1972,1973,1975,1977,1995 by The Lockman Foundation. Used by permission. Many links within this site lead to other websites, including those operated and maintained by third parties. SandwichINK includes these links solely as interesting and entertaining information and a convenience to you, and the presence of such a link does not imply an endorsement of the linked site, its operator, or its contents nor do we always agree with all of its contents. We have found interesting information on each of the pages that are linked to but may not agree with all they have on their entire sites. And, of course, on the internet things can change after we link. So what you see may have changed. As always when using the internet, please use your own discretion when surfing and do let us know if you discover any link with any problems. This site, and its contents (including any materials) are provided “as is” without warranty of any kind, either expressed or implied. Any medical or legal information you may find is not to be considered as advice and should be checked and verified with your attorney or doctor or other professional before acting upon the information. This site and all its content are copyrighted. Please feel free to link to it and/or share small portions of the writing content with the appropriate credit back to www.SandwichINK.com . Thank you. Thank you for “finding” me. I’m new at blogging, and hope to spend more time reading your stuff. Did you happen to see my post “letting go of your kids” ? I’m happy to find someone who understands what it means to be in the sandwich generation! So happy to have met you on Twitter, we share so many things in common! I’m delighted to have featured you and SandwichINK to my readers as a Guest Post! It’s Carol Marak at Carebuzz. I just wanted you to know that I’ve added your link to our blog. 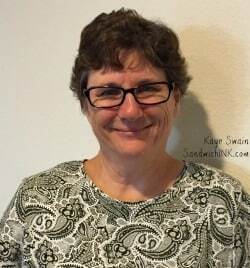 Kaye, thank you so much for stopping by Threads of Hope blog, and leaving the kind comment. I love when new readers come and sit for awhile.. I hope you felt comfortable reading the post..Please feel free to become a follower if you feel led to do that. I ” journal” there usually every day, sometimes more than once if the Lord gives me thoughts that seem to be what He needs me to post.. I love to write poetry, or ” songs ” of peotry which sometimes a poem comes to my heart musically – even though I am not any kind of musicician. They are music in my heart, though! But, I do have a friend in Washington state who is a musician, and he has put several to music already – that was a highlight for me – as my whole prayer when I began poetry writing, that God will use it to bless others lives, thru song, or written word.. Cool stuff for this Oregon mountain lady to think about!! Again, thank you so much for stopping by. I dont see a ” follower” button on your site here, but will bookmark you, as I need lots of help both techy wise, and caregiving wise .. My mother and step father are very elderly, and its going to be sooner, than later, that I begin this new role of caregiver as well. Praying for you sister, in all that you do for others.. I am the publsher of “One Minute Mysteries: 65 Short Mysteries You Solve with Science!” by Eric and Natalie Yoder. Google Alerts just informed my of your web page. I just wanted to let you know that we are delighted that you discovered — and enjoyed — the book! Thanks so much for mentioning it on your site. Yu may want to know that the sequel — “One Minute Mysteries: 65 Short Mysteries You Solve with Math!” will be out soon. The Yoders had so much fun with the first one that they decided to keep writing. Thanks again for including us on your wonderful site! You know what…i am really glad to “meet” you. I will also RSS feed you so I can keep up…u seem like a busy informed lady! Take care! Hi Kaye! it was great to have you visit my blog for Word-filled Wednesday. This is a really neat idea and much needed for many people. I am amazed at just how many are dealing with the pressures of raising children, grandchildren and taking care of elderly parents all at once! Only by the grace of God, (which is sufficient) are they able to pull through with their sanity in tact! By the way, My family and I use to live in KY and visited Elizabethtown quite often, especially to take our kids to one of the parks there! Thanks for leaving a nice comment on my blog! It’s nice to find yours. I am definitely in the “sandwich generation” as I help care for my elderly Mom and I have grandchildren. It makes life very full! Good luck with ball your endeavors! I fell upon this site while looking for Ten Commandment clip art. Do you allow others to use your clip art for Sunday school classes or is it copyrighted? Your site will become one of my favorites, because I am a sandwich person myself! Thank you for the site. Hi Debby – Thank you 🙂 🙂 🙂 ANd yes, as long as you are just printing it out and leave the watermark on it with my site name, that’s absolutely fine 🙂 Have a blessed weekend! What a blessing I received today when I discovered your website! Isn’t God amazing how he knows where to lead us! I am all over one big goose bump right now! You see, I have a sister-in-law dealing with a mom with Parkinson’s and broken hips (her surgery is today! ); my husband has early onset PD (and we have a VERY young family); and I am realizing recently that age is creeping in on my own parents. So nice to meet you online! Let’s keep in touch! Thanks for your fun site. I am moving into the this phase myself. Fun that you share craft ideas to help grandchildren grow in their relationship with God. If you ever want to guest blog on our site we would welcome your thoughts. I would like to know places to walk with other’s company.I am 62 and i live at South Shore Nassau County.I am trying to get an answer but i don’t get any response from the ”website”.Yes i want to subscriber to this website.Thanks. Hi Kaye, what a delight to find you. I live in Auburn, in the foothills. You are very busy with so many blogs. I have two blogs. I used to have my real estate license. I let it expire Dec. last year. Yes, our elderly parents do need assistance. With love and support, they can live their lives productively. Oh how fun, Linda. I love connecting with local bloggers. And yes, those blogs and real estate do keep me hopping 🙂 Thanks for stopping by.